Back in 2016, I had the honor of casting the independent film “Career Opportunities in Organized Crime” (directed and produced by Alex Oshmyansky), one of the first scripted virtual reality feature films. How cool to cast a film where the viewer can also participate in the movie! I didn’t realize at the time, but VR was offering filmmakers a chance to redefine the entire art of filmmaking, acting and casting included! A VR camera sees and records with a 360-degree perspective, meaning it literally captures the entire scene through the use of multiple lenses. That means it’s capturing the actor(s) as well the entire landscape around them. If the viewer decides to turn in the opposite direction, they aren’t necessarily looking at the actor who is speaking anymore—they may be looking at a cat searching for food in the dumpster or the Victorian chair sitting in the corner. 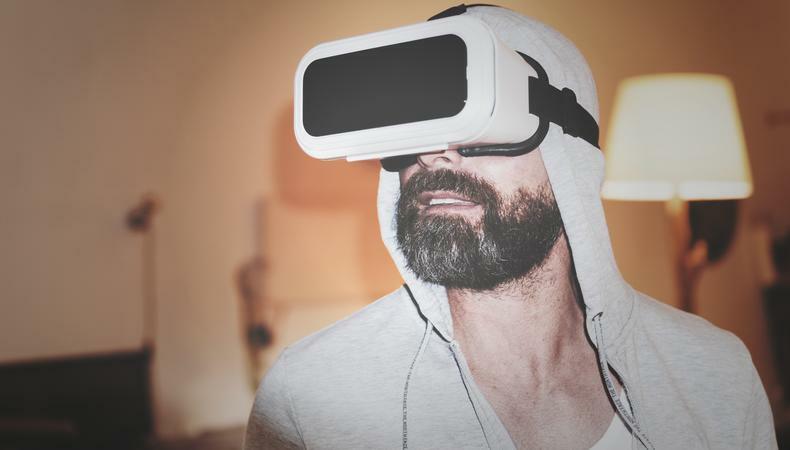 So, as an actor, how do you address the new VR variable of the audience’s attention span? Traditionally, the director (via the editor) intercuts actors with an establishing shot or maybe with other people in the room to set the pace and build the relationship and story on screen. Artistically, they guide the viewer to see what they, as the director, want them to see. The camera can zoom in and capture the slightest smirk of a reaction or gleam in an eye, show you a piece of evidence, and tell the story the director has chosen. But with VR, those decisions are made by the individual VR viewer experiencing the story—not the director. This technology empowers viewers to build their own scene sequence to some extent, meaning every actor’s appearance becomes more important as everyone’s role could influence the viewer’s experience. A VR film, in essence, is like stepping into a theatre-in-the-round play where every actor is in the center of the stage. This is a great opportunity for actors because no matter if you’re in the starring role or cast as a background performer, you could be the center of attention. Someone in the audience is potentially looking at you. You have to assume that everything you do—raise an eyebrow, interact with a set piece, etc.—will be seen by someone at any given moment (or when the film is viewed subsequent times). Instead of extras being labeled as “background” as they typically are, they now have the potential to be “on screen” as much as their lead counterparts and as integral to the story experience as well. Whether you have lines or not, if you’re in a VR scene, you need to be in character at all times. As the casting director for “Career Opportunities in Organized Crime,” I cast the leads, supporting roles, and extras. My challenge was to find trained, captivating actors for every role. Luckily there were a limited number of extras needed on this one, but I know on the next project that requires me to cast a street full of extras that are experienced actors, it might end up being a big task. During the filming of this shoot, other technical issues inevitably came up since the director was pioneering a new approach to filmmaking. For example, how do you light the scenes and where do you put the boom if the viewer can see everything? Post-production also presented its own set of storytelling challenges for this new venture: how do you cut within a scene? You don’t. The actors truly have to carry the story since an editor can’t help direct. My advice for those auditioning for VR projects? During the casting session, it’s likely that you will only be performing in front of a traditional 180-degree camera for the audition. Nevertheless, work with the space around you. If you are self-submitting, do two takes. One as a medium close-up and one landscape so they can see your body and movement as part of the performance. And most importantly, completely immerse yourself in the character. VR film is a slice of life; as in a stage performance, the viewer will be watching you closer than ever! Emerging technology is a new frontier for all of us and it’s changing the landscape for storytelling. Melanie graduated from NYU’s Tisch School of the Arts with a BFA in acting. She then started her own production company producing feature films, documentaries, and commercials in New York. In Los Angeles, she worked in business affairs at the talent agency Writers & Artists and then went on to work at The Firm, a celebrity management company. She is now head of casting at Mike Lemon Casting where has she cast nearly a thousand films, television shows and commercials, many receiving related awards. Check out Backstage’s commercial audition listings! Melanie is the head of casting at Mike Lemon Casting where has she cast nearly a thousand films, television shows and commercials, many receiving related awards.